Summary Details: Customers purchasing Questor Car hire insurance before the end of December 2010 will qualify for a 10% discount if they purchase on line using a dedicated link from a jml Insurance / insurance4carrental.com website. 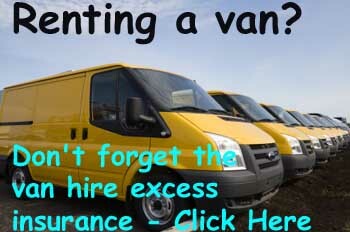 Questor car hire excess insurance is offering a generous ten percent discount off the price of their car hire excess insurance products, provided the customer purchases through a dedicated link on insurance4carrental.com, jml-insurance.co.uk or jml-property-insurance.co.uk. 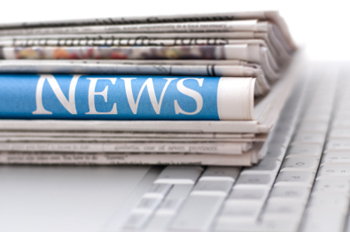 Visitors to these insurance marketing sites will find the Questor insurance page and a dedicated promotional offer code that they insert once they have landed on the Questor site via the dedicated link. 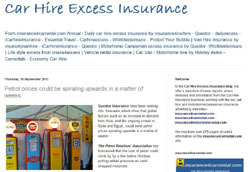 Questor insurance has been promoted on the jml insurance advertising product sites since 2008 and in August Campervan Insurance from Questor was also added. Philip Suter of jml Insurance said" We are delighted to be able to promote this discounted product on our sites and of course like any insurance product being advertised, the client is re-directed to the insurance company's web site and all dealing are between customer and insurance company"
"The autumn is a much quieter time in the travel business and deals like this from companies like Questor can only benefit the general public when there is so much doom and gloom about not only in the UK but in many other countries"
Non-UK residents are eligible to purchase Questor Car hire excess insurance so it is good news wherever you live.